The automatic Dual Clutch Transmission (DCT) provides the compact size and strength of a manual transmission (no belts to slip, break or burnout) with the convenience of an automatic transmission. The DCT features a new dual shift-mapping program that automatically selects between two transmission shifting modes, either Cruise or Sport mode, for optimum shift timing depending on the rider's pattern of throttle operation. 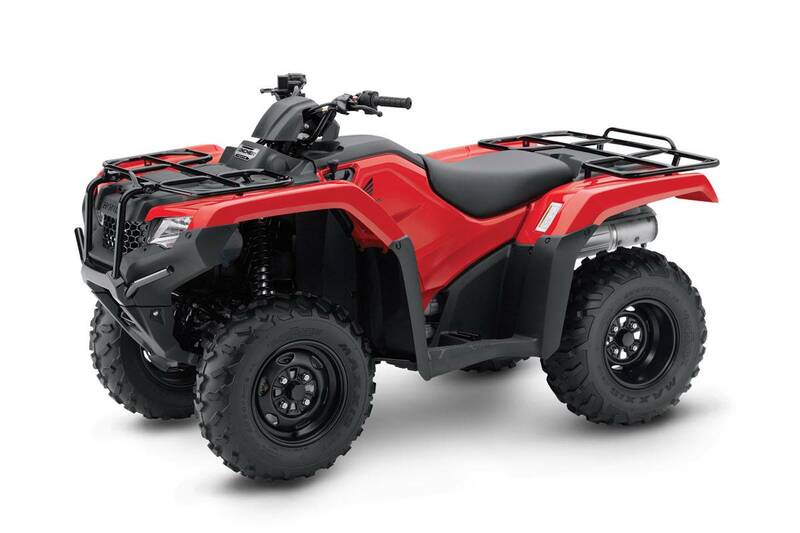 Honda's TRX420FA2 which is formerly the TRX420FPA also boasts a completely new frame, updated suspension, re-designed styling and elevated levels of performance. Electric Power Steering (EPS) system is a next-generation setup that incorporates new ECU mapping for improved linearity in steering response, reduced low-speed steering effort for enhanced manoeuvrability and decreased kickback traits for improved all-around steering action. Featuring an all-new chassis with a redesigned frame, the TRX420FA2 now has longer-travel suspension with outstanding performance over rugged terrain and class-leading handling. A brand new enclosed axle swingarm has been developed to balance and optimise strength and rigidity, while improving rider comfort. Handy TraxLok 4WD selector lever, mounted on the left-front panel, allows 4WD when needed for the tough stuff and 2WD when conditions permit.Dual front hydraulic disc brakes and sealed mechanical rear drum brake for strong stopping power. Rear brake is now located inside the right rear wheel for improved durability and increased ground clearance. Super-heavy-duty automatic clutch with a low-rpm engagement point for excellent driveability and towing capability. New, aggressively styled bodywork also provides better mud protection. Adjustable spring preload now featured on all shocks to allow suspension tuning to match varying loads and riding conditions.